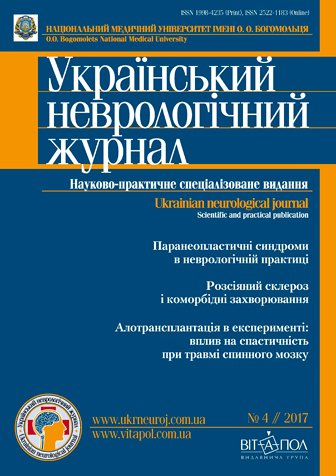 Papers are published in Ukrainian, Russian or English. Telephone numbers to ensure rapid communication between editors and authors. Additionally in three languages should be given: surname, name and patronymic of all authors, institutions titles, where the author is affiliated, professional, research doctorate, position, and contact details. NOTE! Surnames and names are not corrected by editorship, published in author’s edition. Please check the spelling. FOR FOREIGN AUTHORS the translation into Ukrainian and Russian is optional, but it is advisable to provide the transcription of surnames, names and institutions titles. The paper must be sent to the editor with the official assignment from the institution where the paper was prepared. For the collective paper the signatures of all the authors are required. The manuscript must be submitted in two forms – typewritten on paper and electronic. Electronic and typewritten versions must be identical. At the end of the article please submit data on conflicts of interests (eg, The project was supported by company N) and the participation of each author in writing (concept and design of the study, material collection, material processing, statistical data processing, writing text, editing, etc.). The structure of the paper main text should correspond the generally accepted structure for the scientific papers. Thus, if the paper contains the results of experimental work, including dissertations, and is placed in the section of «Original research», it should include «Introduction», «The purpose», «Materials and methods», «Results and discussion», «Conclusions». Other items (clinical observations, lectures and reviews, articles on the history of medicine, etc.) may be made differently. Abstract of the article which published experimental results, is to have the same structure as the article and include the same categories: «The aim», «Materials and methods», «Results and discussion», «Conclusions». The volume of resumes – one printed page. Tables should be made in Microsoft Word format. Each table must have the title and number. Illustrations (photographs, figures, graphs, diagrams etc.) must be marked as «Fig.» and numbered in the order of their appearance in the paper. Diagrams and graphs should be provided with the data used for the their construction. Photos, echograms should be submitted in original or electronically scanned with resolution of at least 300 dpi and saved in TIFF or JPEG formats. Tags and symbols on figures should be clear and well-read in the image after diminution up to the journal column size. Patients’ photographs must be provided either with their written permission or in such a view that the patient could not be identified. On the underside the label should be stuck on, containing the paper title, the figure inscription, indication of the picture top and bottom. REFERENCES must be numbered in alphabetical order: first the papers of Ukrainian and Russian languages (Cyrillic letters) and then in other foreign languages (Roman letters). Reference to articles from the journal issued as follows: initials and surnames, the full title, normally abbreviated journal or collection, year of publication, volume number, pages (first and last) on which the article is placed on. References to the monograph must include the initials and names of the authors, title of the book, place of publication, date of publication, total number of pages. Please limit the amount of sources to 40 references. Note! Due to need in English-language site as one of the entry requirements for international scientometric databases, the registration of the references are changed. Citations Cyrillic should have duplicate in English (the name taken from the English summary) and indicate the language of writing in parenthesis (Ukrainian) or (Russian). If no primary source summary, it must be qualified translation or transliteration of the name in Latin letters. The Ukrainian language can transliterate names automatically in compliance with the CMU 2010 (passport) online at the link http://translit.kh.ua/?passport, names under standard UKPPT 1996 (Simplified) link http://www. translit.kh.ua/?geo. Transliteration from the Russian language can make the link http://ru.translit.net/?account=bsi. At the end you have to choose a unique digital identifier article DOI, if any. Check the article ID DOI please visit http://search.crossref.org or http://www.citethisforme.com. For the DOI to enter into the search box the name of the article in English. All articles received by the editor are subject to review and edited under the terms of the publication in the journal. Editors reserves the right to change the style of the article. If necessary, the article may be returned to authors for revision and answering questions. The proof-sheet will not be sent to the authors, all pre-publishing preparation of author’s manuscript has been done by the editors. The rejected manuscripts will not be returned to the authors. We do not submit already published articles and papers sent to other issues. The reprint of the articles is possible only with the permission of the editors. Reference to the journal is obligatory.